Your lats are a very impressive muscle group that add a great deal of width and size to your frame. There's nothing that says, "Yeah, I train!" like an impressive set of lats hanging down like gigantic wings from the back of your shoulders. Not to mention the ability to fill out a suit entirely. You just look strong and powerful. So here's 5 Exercises that are going to pack on those extra slabs of meat on your back. Wide Grip Pull-ups. Hands down the best lat developer out there. It's a tough move that will definitely pack some size on your frame. However once you've gotten good at them, you need to increase the amount of stimulation to grow more mass. How do we grow more mass? Well, add some extra weight to increase the load and boom! More growth. Neutral Grip Pull-ups. This one is a top second on my list to building a bigger set of lats. This exercise is a bit nicer on the shoulders for some lifters and a bit easier since the bicep can assist a bit more in the lift. Additionally, it will allow one to pull a bit further up onto the bar, since the elbows can swing in closer to the ribs, thus allowing you to squeeze a bit more. Again, once you can do a lot of reps with these, it's time to load it up. Towel Pull-ups. These are a tough movement on both the grip and the lat on the opposing side. The towel will allow you to place more direct stress on one side of the body than the other, so you'll need to alternate sides with this variation. The additional load will enhance the stress placed on the lats, thus eliciting a nice growth stimulus. Wrist Pull-ups. 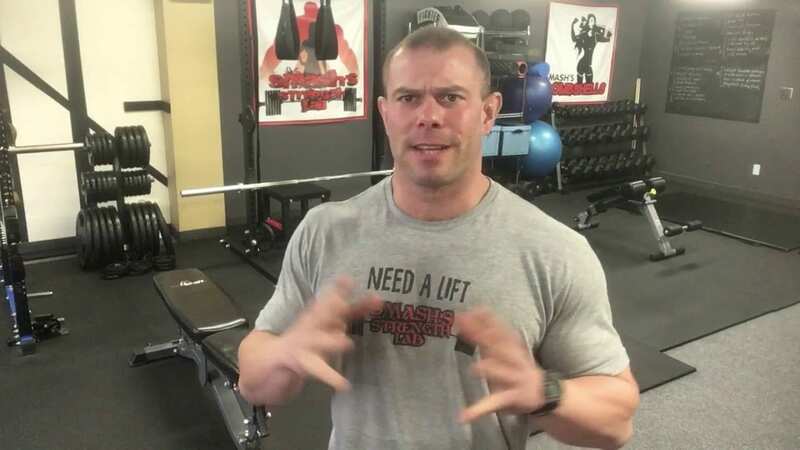 If you're having trouble feeling the lats contracting or keep getting interference from the biceps and forearms, this is the way to go. Simply sling a rope, strap or daisy chain around the wrist so that all of the body weight is placed on your wrist versus your hands. This will take the biceps and forearms almost completely out of the movement allowing your lats to do the work entirely. Talk about isolation, this will overload those lats for sure. Gym Ring Pull-ups. These pull-ups are great since you can rotate the hands as you're pulling to get the most out of your reps. You should really be able to feel the lats contract under these conditions; however, this movement is tougher than traditional pull-ups since you have to stabilize while hanging from two independently swinging rings. But trust me, the instability is worth battling it out on the rings for the extra squeezing. So, now it's time to get to work on building up some lats! Get'r'done! Give it a six week cycle of blasting out some of these variations and then tell me how they went in the comments below. If you have more tricks for growing your lats, please feel free to comment below. Check out some of our newest strength training programs in The Armory! Click here now!